1 What is Straight Pool? 2 The History of Straight Pool? 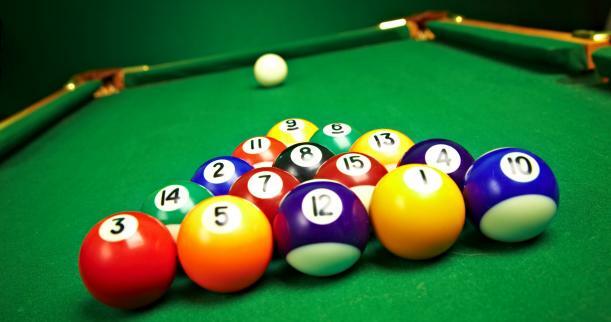 Straight pool, also called as 14-1 is a pocket billiards game. 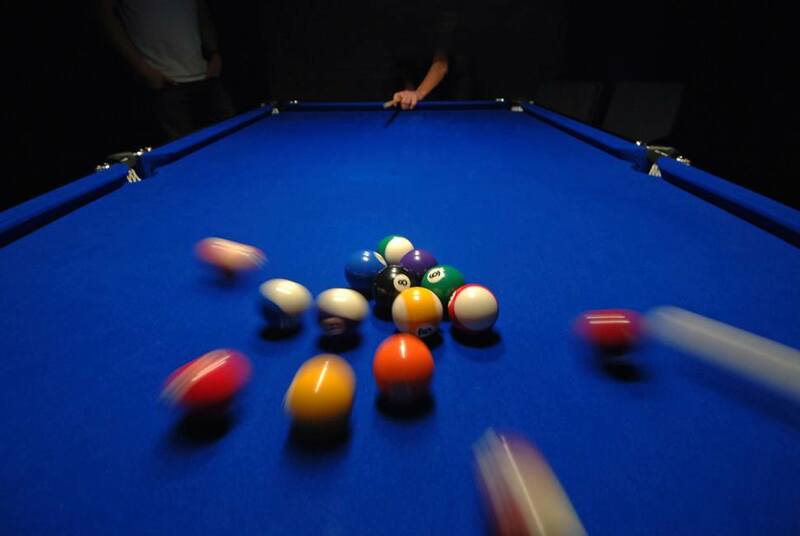 In straight pool, the shooter may attempt to shoot at any object ball on the table. The goal is to reach a certain number of points, which the players agreed upon prior to the game. Each pocketed object ball that is made without a foul receives one point. A typical game normally requires a player to score 100 points to win. In professional competition, players of straight pool need a total of 125 points to win. Straight pool is a c﻿﻿﻿﻿﻿﻿﻿﻿al﻿﻿﻿﻿l-pocket game. Therefore, each player must indicate the intended object ball and the pocket on every shot. 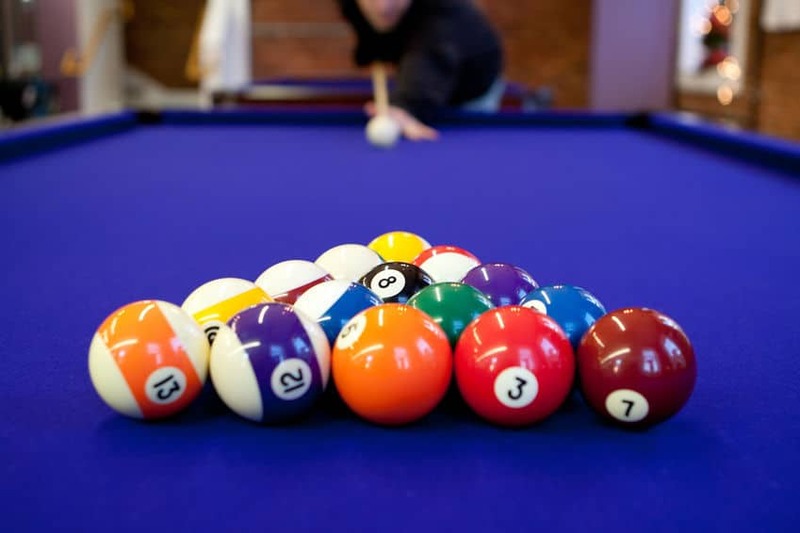 Straight Pool uses all 15 billiard balls and the cue ball. Each ball, regardless of its numerical identification is equivalent to one point. A player must call the ball to be pocketed and the hole where it would be sunk prior to making a shot. The History of Straight Pool? Straight pool is derived from an earlier pool game called continuous pool. Like its successor, the continuous pool, a player has to score a certain number of points (usually 100) to win the match. All the same, every object ball legally pocketed earns a point. However, it is only when all balls have been pocketed that a new rack is set up. The objective of the game is to pocket as many balls as possible for every rack. The player who reaches the goal points first wins the game. All 15 balls are used as object balls. The cue ball is also used. A player can shoot at and pocket any object ball on the table regardless of the ball’s number value. However, the player has to point out which object ball he/she will try to sink. As well as the pocket unto which he/she will send it in. This is usually done by naming the ball's designation number and pointing to the intended pocket. It is not necessary to call shots like caroms and combinations. If an object ball, other than the one called is pocketed, or if the called object ball goes into another pocket, then the ball returns to the table. This event,will at the same time, also end the player's inning. However, if a player manages to pocket an object ball on the same shot with the one he/she calls properly and makes, then the other pocketed ball counts as a bonus. A player gains advantage in Continuous Pool as early as the opening break. The player who executes the opening break should theoretically aim to scatter the balls towards his advantage. All 15 object balls racked in a triangular rack makes up Straight Pool's initial rack. It is positioned with the apex ball placed over the foot stop. The winner is determined when a player reaches the agree﻿﻿d on total points. It is normally 100 points, although, advanced players set the goal score to 150.